During our stay at Sunny Beach we decided to drive 400 km to make sure that Bulgaria has wonderful mountain ranges and picturesque trekking. From Black sea coast it was easy to manage by recently built Burgas – Sofia highway. Ok, maybe I overstate – some parts of highway seem to be from soviet times, and some other were so fresh that TomTom did not show them at all. Still, as soon as you are off the highway, please be careful. Holes on roads appear suddenly and with no warning. Balkans are like Alps, with nice villages and snowy peaks. Even in July. Our first trekking was the most picturesque in Balkans – to Seven Rila lakes. We decided to hike from Vada hut. Turn from main road to Vada is not perfectly marked, but you can still guess. Last 4 km is a bit bumpy road. Owner of the hut was already welcoming us. Be sure Westerners should pay for parking in his yard. 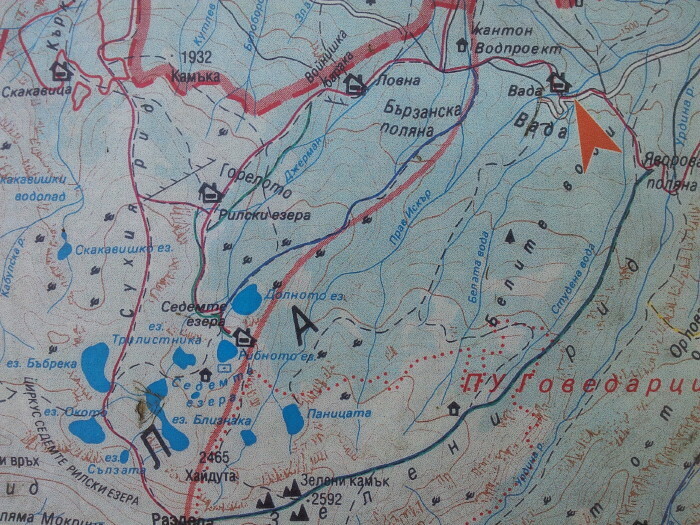 Here is trekking map. Quite clear and easy to remember. First few hours trail went through forest. Then some alpine meadows followed. Finally first of lakes was welcoming us. They are located each up to other. To climb from first to last one – to final viewpoint, you need ca 1,5 hours. Second lake had his own tourist halt. Sixth lake was semi frozen. Here we are on top. From there you can finally see all the lakes. We decided to stay overnight at Borovec – the most popular ski resort in Bulgaria. Of course during summertime it was losing a bit of its glory. On the way we had some trouble with self administering cows. Traditional meat pots – 3 type of meat covered by cheese. Tasty indeed! 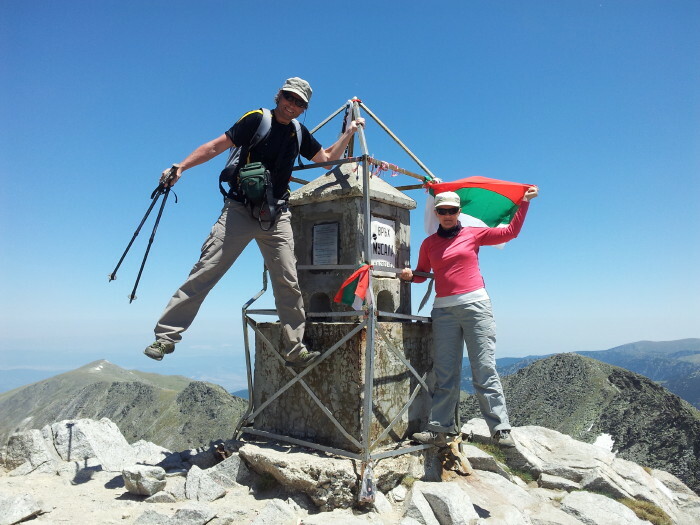 Next day we went to the highest peak of Balkans and Bulgaria – to Musala, which is almost 3000 m From Borovec to Jastrebec no need to climb. Just take ski lift. Jastrebec is end point of the lift. From here there is just 1 hour trekking till first lake and Musala halt. From Musala halt till Everest halt (what a name!) there is other hour to go. Everest hut was located near Icy Lake. Last 40 minutes to the top. And after 6 more hours we were swimming already in Black Sea.